Can I just say I am EXHAUSTED tonight ? I had FOUR doctors appointments today – count them… FOUR! Two for me and two appointments were my moms. I had another visit for this allergic reaction I have going on around my eyes. I would say we are at this point playing – let’s take a stab at what Debbie has… I am sick of messing with it. I will probably be makeup less again tomorrow as I let my eyes rest and heal. BEFORE I left for the tour of doctors today we had already accomplished a lot. In small groups we talked about bunnies hopping and we measured how far we each could hop jumping off the bottom step. We used a non-standard measure ( a block ) to measure the distance. The kids love this type of fun. I noticed after I was finished with one group they continued but got a ruler to measure. Smart kiddos! 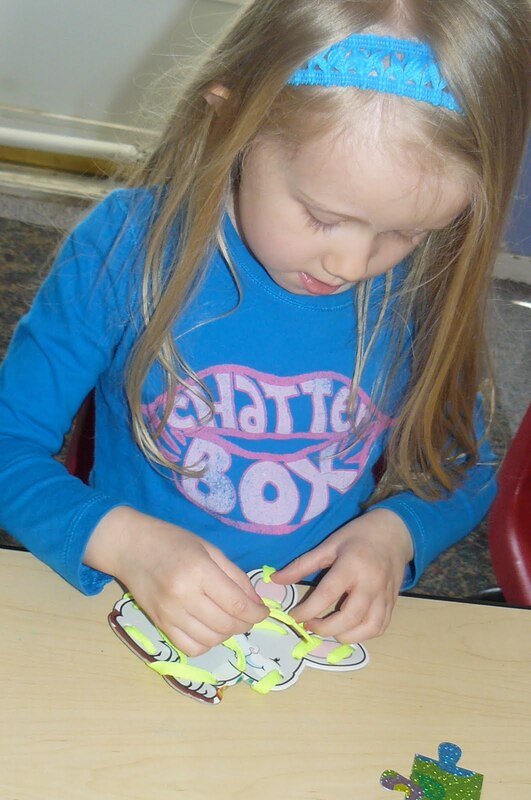 We used the Weekly Reader today to learn about eggs and what hatches from them. We also explored a broken egg . Randy had a fun impromptu singalong . 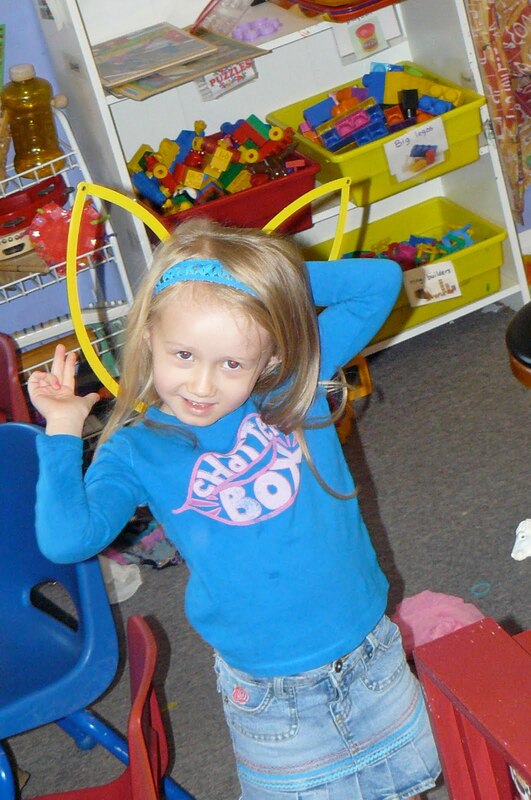 GG used one of our sorters to make rabbit ears. Dillion enjoying the light table. The rabbit heads we made Monday and the carrot was the orange collage we worked on yesterday. As I left Ms Jodie was showing the kids this cool real live feed from an owls nest. Here ! I'm the same way. The theme just gives me a point to start from. About a year ago, I tried going without themes for a few weeks. I just could not get organized! "By using themes as that vehicle it also gives me great opportunities to change my materials out more frequently"
i tagged you with the Honest Scrap Award! !